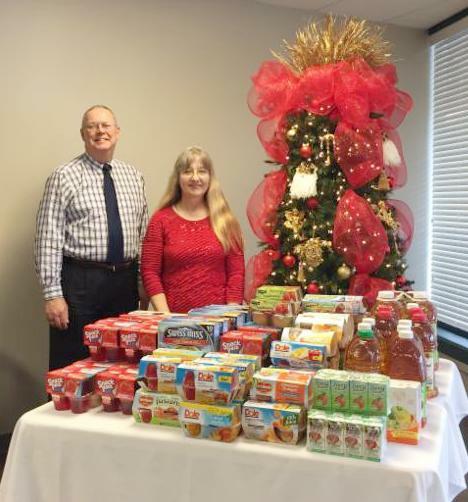 Robert Woodard and Brenda Brown with the many snacks that were donated. Customers of Edward Jones Financial Advisors donated snacks for The Club, dementia specific Adult Day Care facility at the Lifestyle Enrichment Center. 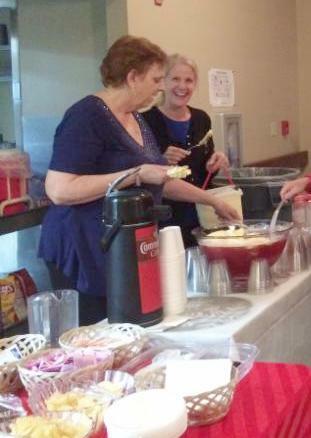 They collected fruit cups, jello, juices and other items for the elders that participate daily at The Club. These gifts make a big difference for the people who will enjoy them throughout the New Year. Many Thanks to those who contributed to this gift. Bernice Brown was born in Americus, Georgia and attended Richardson High School. She worked as a waitress and later at PCS Phosphate. She retired from PCS after 26 years of service as a truck driver. 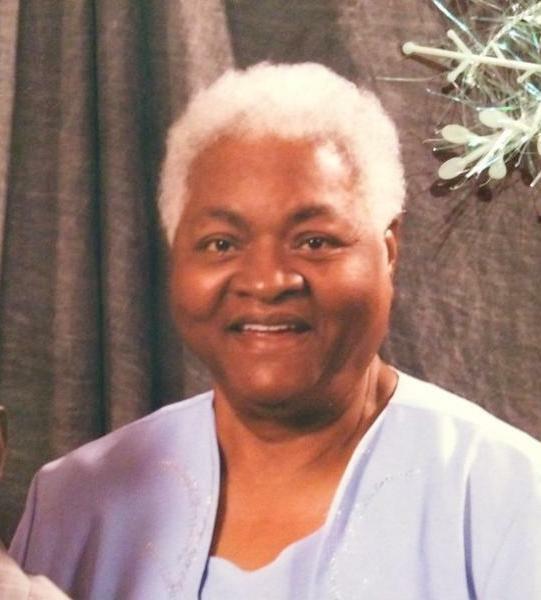 She has three children, four grandchildren and two great grandchildren. She has traveled to the Bahamas, Chicago, New Jersey and Ohio. Her favorite hobby and talent lies in planting flowers and caring for them. She also likes collecting antiques. Bernice describes herself as “a Christian woman who loves God and is very outgoing.” She likes all the people at the Enrichment Center for socializing and meeting new friends. We salute you Bernice as our Senior of the Month. 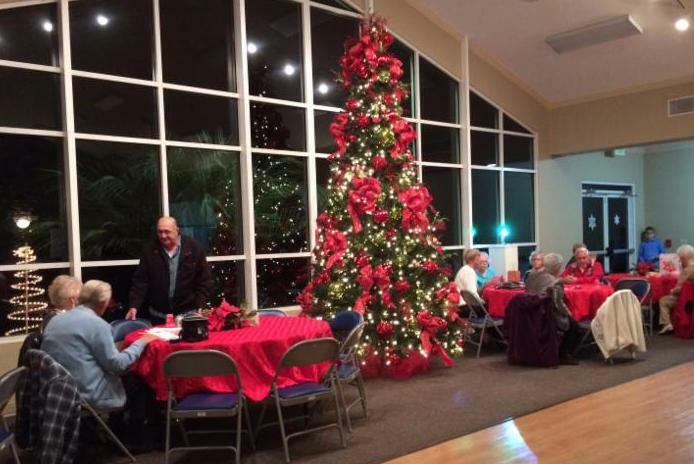 On Friday, December 9, the Lifestyle Enrichment Center hosted a special Christmas Ball. The main course of ham and turkey were provided and the guests brought their special foods to share. Dancing and live entertainment filled the room for nearly 65 guests. Everyone enjoyed the special ambiance and Christmas decor of the center. We were so blessed to have these wonderful sponsors and we cannot thank them enough for making 2016 a success in helping the 60+ people in our community. Bill Bennett returns to teach those of us who are computer challenged how to use this technology for fun, research and for keeping track of those tech savvy kids and grand kids in our lives. A new series of Beginner classes starts on Thursday, January 12, 2017 at 1:00 PM. The class will run for six weeks. The new series of Intermediate classes begin on Thursday, January 12, 2017 at 2:30 PM. This class will also run for six weeks. There is a waiting list. Please call Barbara at 386-755-0235 to reserve space.